Acheh's strategic location at the northern tip of Sumatra and at the head of the Melaka Straits has for centuries brought the Achinese into contact with the world. Marco Polo visited Acheh in 1232, while awaiting passage back to Europe, reported an independent Sultanate, wealthy from the vast stands of pepper in the hinterlands and tolls on trading ships entering the Melaka Straits. However, the fall of Melaka in 1511 heralded a meteoric rise in the power of Acheh. The Portuguese capture of Melaka and their persecution of Muslims forced wealthy Arab and Gujerati merchants to move from Melaka to Acheh. This new wealth enabled Acheh to embark upon wars of aggression and conquest to obtain control of the pepper districts of Sumatra. Militarily and economically stronger than any of her neighbours in Sumatra and the Malay peninsula, she quickly took over the mantle of the vanquished Melaka Sultanate as the leading kingdom in the Straits. She overran the pepper ports of Pasai and Pedir and secured control of the part of Minangkabau which was rich in gold. The two export commodities of pepper and gold became important in the development of Acheh as a commercial centre. Acheh fought the Portuguese for naval and commercial control of the Straits and fought against Johor for political leadership of the dependent states on both sides of the Straits. Acheh was initially a vassal state of Sultan Marif Shah of Pedir but Sultan Ali Mughayat Shah defied his overlord. Aided by arms and ships he captured attacking Portuguese vessels, Ali Mughayat Shah attacked Pedir and forced the ruler to flee to Pasai. The Portuguese gave their support to the fugitive ruler of Pedir when he arrived at Pasai and established a fort there. Nevertheless, Pasai fell to the Achinese in 1524. Gradually, Acheh pushed her boundary southwards along the east coast until she reached the boundary of Johor's vassal-states. She then turned her attention to the west coast and the whole of north Sumatra. Muslim traders from the ports of Asia continued to avoid Portuguese Melaka and called at Acheh instead. The growth of Acheh as an international port opened up a new sailing route to merchant ships coming from the west. Instead of using the northern entrance of the Straits after crossing the Indian Ocean, trading vessels now came via the Maldives to the west coast of Sumatra and along its southwards to the Sunda Straits between Sumatra and Java. This enabled ships to by-pass Melaka and thus caused a shift of importance in the trading emporia of South-East Asia. In 1528, Ali Mughayat Shah attacked the fleet of Simao de Souza Galvao sheltering from a storm off Acheh. In that year Ali Mughayat died and was succeeded by Salauddin ibni Ali. Made bold by the small addition of Galvao's fleet to their military strength, the Achinese attacked Melaka in 1529, but were unsuccessful. In 1537, Salauddin was poisoned by his wife, and Alauddin Riayat Shah al-Quahhar (1537-71) succeeded to the throne. The Portuguese attempted to capture the pepper centres of Pasai and Pedir but were soundly defeated by the Achinese. Acheh established direct links with the Turkish Empire and encouraged Turkey to join in a 'jihad' against 'infidel' Melaka. In exchange for pepper, Turkey regularly supplied arms, ammunition and men to Acheh for use against the Portuguese. As a result, Acheh launched no less than fourteen attacks on Portuguese Melaka between 1537 and 1574. Sultan Alauddin's his first attack on Melaka in 1537 was repulsd but this show of imperialism across the Straits worried the Sultanates of Johor, Pahang, Perak and Demak, who now saw in Acheh a threat as dangerous as the Portuguese. These fears were soon realized when Acheh conquered Johor's vassal-state of Aru (Deli) in 1539. Johor formed an alliance with Perak and Siak and dealt a crushing blow on Acheh's navy at the battle of Sungai Paneh. Temporarily paralyzed by that body blow from the Johor Malays, Acheh regained enough of her strength in 1547 to launch another attack against Melaka. The Achinese navy blockaded Melaka and, later sailing north, captured Perlis. With the help of two ships from Patani, a Portuguese fleet went after the Achinese and drove them away from their position on the Perlis river. Following that reversal, Acheh decided it best to subdue Johor first, before attempting any assault on Melaka. In 1564 she once again attacked Aru and recaptured it from Johor. Crossing the Straits, the Achinese razed the fort at Johor Lama to the ground and captured Sultan Alauddin, imprisoning him in Acheh, where he died. The Achinese then formed a Muslim League of nations, which Turkey joined, for offensives against the Portuguese. The big attack came in 1567 when a huge Achinese fleet of 300 war-boats with some 20,000 men, (including 400 were Turkish troops) laid siege on Melaka. But they failed to capture the impregnable fortress and withdrew, leaving 3,000 dead. The 1570s saw several further attacks on Melaka. The third and most dangerous one was launched in 1574 and carried on into 1575. Again the impregnability of 'A Famosa' saved the Portuguese and compelled the retreat of the Achinese. 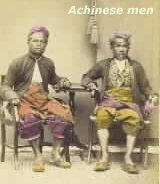 The Achinese then sailed north to Perak and captured it.. Now they also had control of the tin trade of Perak, making their power greater than ever before. Acheh launched another expedition against Johor in 1582 but, this time, were defeated by the forces of Johor who, ironically, were aided by the Portuguese. In May 1585 Acheh's Sultan Mansur Shah prepared yet another big fleet of about 300 war-boats against Melaka. Before he attacked Melaka, however, he was killed by one of his generals. The general assumed the post of Regent over the boy-king, Sultan Buyong. In 1588, the boy-king was removed and the Regent usurped the throne, calling himself Alauddin Riayat Shah. 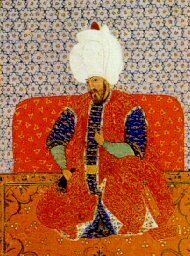 Portuguese accounts describe the reign of Sultan Alauddin Riayat Shah (1588-1604) as cruel and destructive. 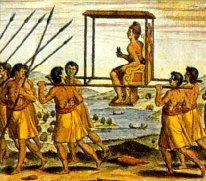 On his accession to the throne he had all the orang kayas or nobility who opposed him murdered and made his supporters orang kayas. Those who spoke against his actions were killed and it was said about 20,000 people were killed during the first year of his reign. 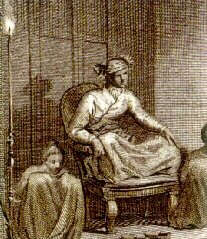 However, the Tarich Atjeh dan Nusantara, a work based on Indonesian and Dutch sources, gives a very different picture of this ruler. Alauddin is described as a wise ruler interested in the prosperity of the country. He successfully curbed the disorders prevailing at that time. He encouraged trade by inviting foreign merchants to come and trade in Acheh. Alauddin even made peace with the Portuguese. Indeed, he had a Portuguese advsior, Afonso Vicente, to act as his interpreter and commercial adviser in his dealings with the Europeans. However, the old hatreds between the Achinese and the Portuguese soon re-kindled when the Portuguese assisted Johor against Acheh during its attempt to recapture Aru from Johor. At the ripe age of 95, Alauddin allowed his son, Sultan Muda, to rule jointly with him. In 1604, however, Sultan Muda imprisoned his father and became the sole ruler. But Sultan Muda was a weak leader and Acheh was not to be a dynamic and aggressive power again until the rule of Sultan Iskandar Muda, also known as Mahkota Alam ('Crown of all He Surveys') in 1607. He quickly moved to eliminate all competitors to regional supremacy and finally captured Aru in 1612. Just the next year, he sacked Johor's capital of Batu Sawar and captured all of the Johor royal family, bringing them to Acheh. He later restored Raja Abdullah, the crown prince of the Johor throne but, in 1637 captured and killed him when the new Sultan attempted to seek alliances with Acheh's Dutch enemies. In the meantime, Pahang, Kedah, and Perak had quickly fallen to the Achinese, who now also controlled most of the northern, western and eastern coasts of Sumatra, including the former Johor possessions of Aru, Rokan, Siak, Kampar and Indragiri. With the Johor Empire subdued, Mahkota Alam felt strong enough to go for the jewel in the crown - Melaka. In 1615, an Achinese fleet of three hundred junks, galleys and frigates, carrying nearly a hundred thousand men, fought the Portuguese off Muar. Passing vessels at the time recorded 'great fires' on the shores for three days and three nights as the battle raged inconclusively. The next year, a combined Achinese and Johor fleet besieged Melaka. Four Portuguese galleons were dispatched from Goa to the region but the Achinese sank one, while the remainder were torched by Dutch ships aiding the besiegers. But the siege ultimately failed. In 1627, Mahkota Alam again laid siege on Melaka, with 20,000 men. The siege lasted two years, and the city was under constant attack by both by land and by sea. A fleet of 80 galleys and frigates were dispatched from Goa to Melaka's aid and the armada destroyed the besieging forces. Acheh was never to recover from that crushing defeat. Mahkota Alam died in 1636 - probably much to the great relief of the Portuguese and the Johor Sultans. Because he did not have a son , Mahkota Alam had adopted the son of Sultan Ahmad Shah of Pahang as his regent. The Prince, Iskandar Thani, assumed the throne and continued Acheh's war on Melaka, attacking the fortress in 1639 but again failing to breach its ramparts. Iskandar Thani died in 1641 and Acheh was subsequently ruled by a succession of Queens. Under them, Acheh gradually lost all her foreign conquests and never regained her former greatness. Nevertheless, throughout the remainder of its history, Acheh was to remain fiercely independent and deeply Islamic. During the colonization of Indonesia by the Dutch in following centuries, Acheh resisted fiercely, its struggles based first on self-defence and, ultimately, on an aroused spirit of Islamic martyrdom. The longest ever war in the history of Dutch colonialism was required to incorporate the proud Sultanate of Acheh into Netherlands India. This was the Perang Sabil, from 1873 until 1903, when its leaders finally surrendered. Ulamas or clerics continued encouraging armed resistance, leading to a further ten years of bitter fighting. Even in defeat, Acheh remained the only major kingdom in the Indonesian archipelago to have never signed a treaty accepting Dutch sovereignty.